Our hotels and leisure division is a global network of specialist consultants in hotel, resort, serviced apartments, branded residences, marina, golf, leisure and spa sectors. Dedicated to providing strategic advisory services to investors, developers and institutions to extract the best value and potential from our client’s projects and assets. Through effective management of the hospitality process, we deliver tangible financial benefits to our clients. With regional offices in Dubai, Abu Dhabi, Jeddah, Riyadh, Cairo and Doha, we combine global expertise with local market knowledge. Over the past decade, our extensive team of specialists based in the Middle East and North Africa region have provided strategic advice and asset management services on more than 700 hotel and leisure real estate projects. Each client is unique and each project is unique; thereby requiring customised analysis, recommendations and reports. We strive to provide the highest quality reports and best possible advice with tangible and actionable advice to our clients. Our dedicated hotel asset managers assist our clients in managing their hotel investments, by working with the ownership and operator to overcome operating challenges maximising the performance and value of the property. The asset management process commences during the pre-opening stage and continues post-opening. Part of our asset managers’ tasks is to ensure the staffing and operating expenses are at optimal levels, enhancing the hotel’s revenue strategy versus its competitors. Pre-opening asset management typically commences 9 to 12 months prior to the hotel’s opening, to ensure a cost effective, smooth and successful period leading up to the opening of the hotel. Is each staff member hired at the most efficient time? Is the owner aware of its responsibilities? Has the operator prepared a detailed and realistic business plan that supports the owner’s objectives? Ongoing asset management involves ongoing support for existing hotels, including monthly meetings as well as annual budget and business plan reviews. Are the food and beverage outlets optimally utilised? Is there potentially a better revenue strategy? Can some functions be outsourced to save costs without compromising quality? An asset review and plan is for clients that want a health check on their existing hotel asset or portfolio, to identify areas for improvement and areas where the property is out-performing the competition; with the goal of producing an asset plan to improve the hotel’s relative performance. Our team assists our clients interested in selling, acquiring, or fund raising for hotels. Due diligence. Our team can provide a market and financial due diligence of a targeted hotel, to identify its strengths, weaknesses, challenges and opportunities, with the aim of providing the client with a recommended purchase price. Fund raising. For existing or planned projects, we can assist our clients in raising funds. Sale. We can assist our clients in selling their hotel assets to investors. Here are answers to the top questions you might have about our Hotels and Leisure Services. 1. What do Colliers’ Hotels and Leisure Services include? We provide a suite of services throughout the lifecycle of our clients’ hotels and leisure projects, from market studies, destination strategies, business plans, highest and best use analysis, concept development, financial feasibility studies, operator selection, to services such as RICS valuation, asset management and brokerage. 2. What differentiates the Colliers’ Hotels and Leisure Services from others? Our extensive experience in the MENA region enables us to continuously learn and stay ahead of the trends. Our advisory work has covered more than 300,000 keys, while our asset management work has covered more than 20,000 keys. 3. What you can expect from our team? Our clients expect and deserve service excellence, which at a minimum includes the delivery of high-quality reports on time from a responsive and accountable professional team. Our team is very hands-on, dynamic and strives to provide our clients with the best advice, in a clear and concise manner. 4. How is our research conducted? Multi-sourced from primary and secondary research complemented with our extensive database of information gathered from previous projects and research initiatives. 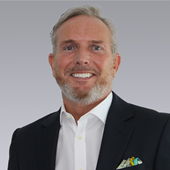 Christopher Lund oversees the Hotels consultancy division of Colliers International in the Middle East and North Africa. Over the past 8 years, the Hotels team has worked on more than 700 projects in the region, providing advisory services to hotel developers, investors, operators, governments, law firms and banks. Christopher specialises in development consultancy and strategic asset management, ranging from standalone hotels to large-scale destinations, as well as hotel company strategies, condo-hotel investment models and negotiating complex hotel management agreements. His operational and asset management experience allows him to have a 360-degree view and hands-on approach when providing actionable advice to enhance hotel profitability.